Roses de Chloe is an invitation to grace. Luminous and subtle, it inspires and evokes a unique facet of the signature Chloe rose, capturing the spirit of the Chloe woman. The fragrance exudes an immediate and incredible freshness, derived from the top note Bergamot. This sensation is gradually joined by a heart of Damascena Rose essence, modernized with a Magnolia accord. The trail on the skin is of White Musk and Amber, the signature base of the Chloe house. Explore the entire range of Perfumes (EDT & EDP) available on Nykaa. 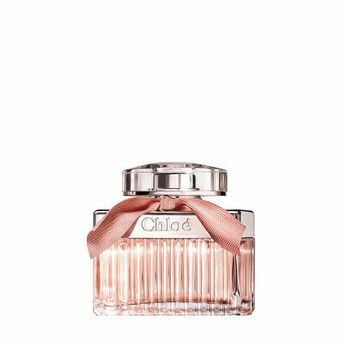 Shop more Chloé products here.You can browse through the complete world of Chloé Perfumes (EDT & EDP) .Alternatively, you can also find many more products from the Roses De Chloe Eau De Toilette range.